The violence and destruction that occurred at the U.S. Military Academy on Christmas Eve and Christmas Morning in 1826 led to the largest mass expulsion in West Point History. 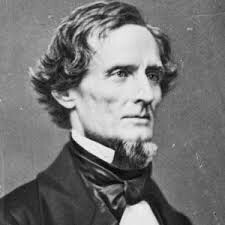 Nearly one-third of the cadets at the academy were involved in the so-called Eggnog Riot, including Jefferson Davis, future President of the Confederate States of America. Fueled by gallons of whiskey-laden eggnog, the cadets mutinied against their officers, who were threatened, attacked and even shot at for breaking up Christmas merriment. An entire dormitory building was nearly destroyed, and the event forced future barracks at the academy to be designed with crowd control in mind. In the early 19th century, West Point did not have the sterling reputation it has today, and it took a rigid disciplinarian to begin getting the cadets in line. West Point opened its doors in 1802, but was a fairly ragtag operation - ten cadets and three teachers resided in a group of decrepit buildings in upstate New York, and almost anyone could get in. But after the U.S. military was embarrassed in the War of 1812, the government decided it was time to clean up the academy's act. 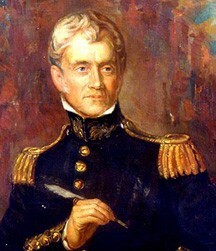 In 1817, Colonel Sylvanus Thayer, now known as "the father of West Point" was brought in to instill some strict discipline among the cadets, and boy did he. Until 1825, Thayer had allowed drinking alcohol on campus on only two occasions - the fourth of July and Christmas. But the 1825 fourth of July celebration got out of hand, with cadets hoisting their Commandant William J. Worth on their shoulders during a raucous party, infuriating Thayer. After this event, he completely prohibited alcohol on campus. The Cadets saw this ban as more of a challenge than as an unbreakable rule (despite the fact that anyone found with alcohol would be expelled) and organized a secret operation to get their hands on some whiskey. A group of cadets, including a young Jefferson Davis, decided to throw a holiday party featuring whiskey-infused eggnog - a very popular beverage in colonial America due to the wide availability of the ingredients on most farms. But since the cadets typically only ate beef, bread and water (to prepare them for army rations), all ingredients for the party needed to be secured. Several nights before the party, three cadets rowed across the Hudson river under the cover of darkness and purchased 2 gallons of whiskey from a local tavern. They paid the night watchman 35 cents to turn a blind eye to their cargo when they returned. A fourth cadet purchased a gallon of rum from another local tavern and smuggled it to the North Barracks, where the party would take place. Another group of cadets procured a gallon of wine and a gallon of brandy. During the days before the party, many cadets smuggled ingredients for eggnog as well as bits and pieces of food from the dining hall and local taverns. Word of the party quickly spread among the cadets, which began at midnight on Christmas Eve. Notably, Robert E. Lee, also a cadet at the time, declined to participate in the rule-breaking. Things quickly got rowdy, with more than a dozen cadets gathering in rooms throughout the North Barracks. Who knew such a merry drink could cause so much chaos? When West Point faculty tried to break up the party, things escalated to violence very quickly - multiple officers were attacked and threatened, and significant damage was done to the North Barracks when it was all said and done. Well past midnight, the faculty member on duty, Captain Ethan Allen Hitchcock was awoken by the commotion of the party, and marched to the room to try to break the festivities up. Cadet Jefferson Davis, one of the ringleaders of the party and among the first participants, got wind of Hitchcock's approach from another room (the party had spread throughout the barracks at this point) and rushed to warn those in danger. Fueled by anger and alcohol, they continued to harass, threaten and attack any officer or student that tried to instill order and severely damaged the barracks in the process. He arrived too late, but didn't realize it - he burst into the room shouting, "put away the grog boys, old Hitch is coming!" only to realize Hitchcock was among those he hurriedly warned. Hitchcock declared the gathering illegal, placed all cadets present under arrest and ordered them to return to their rooms. This wasn't the only rowdy group, however, and Hitchcock continued his efforts to quell the partying. This led to a drunken cadet actually firing a pistol at Hitchcock. The shot missed, but convinced him that he needed back up. Another Officer, William A. Thornton was threatened with a sword and knocked down when someone hit him with a piece of wood. Hitchcock actually called for the Commandant to help instill order, but somehow this turned into a rumor among the cadets that he was seeking the help of regular soldiers stationed at West Point, whom the cadets despised. Fortunately for him, Jefferson Davis was not among those expelled, perhaps partially due to overindulgence or a low tolerance for eggnog. This caused things to escalate as the cadets armed themselves against the rumored arrival of the regulars. Fueled by anger and alcohol, they continued to harass, threaten and attack any officer or student that tried to instill order and severely damage the barracks. The chaos continued straight through to the next morning, and many cadets showed up at roll call still quite drunk. Would history have been different if Jefferson Davis was expelled? Even though at least a third of the cadets participated in the mayhem, only 19 were expelled in order to minimize the embarrassment to the academy. Fortunately for him, Jefferson Davis was not among those expelled, perhaps partially due to overindulgence or a low tolerance for eggnog. After returning to his room at the order of Hitchcock, Davis passed out cold and missed out on any opportunity for violence or destruction. This little known episode from American history provies some fascinating insight into life at early West Point. It also makes you think, how would the course of history have been changed if Jefferson Davis returned to the fray? What would have happened if Robert E. Lee had particpated in the mayhem? If both had been expelled, the course of American history may have been changed forever. Did any of your ancestors attend West Point in the early 18th century? 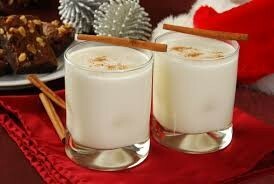 Learning of a family member's participation in little-known events like the Eggnog Riot would be an amazing discovery. Our ancestors were linked to far more fascinating events than you can imagine.